So…I’ve been slacking on updating! I have a big problem with procrastination, but here’s a little update of my life! Since we live in one of France’s bigger cities, there’s a tram here. And also, nearly everything in France is a lot closer together than things are in the U.S., so it’s easier to get around without a car. 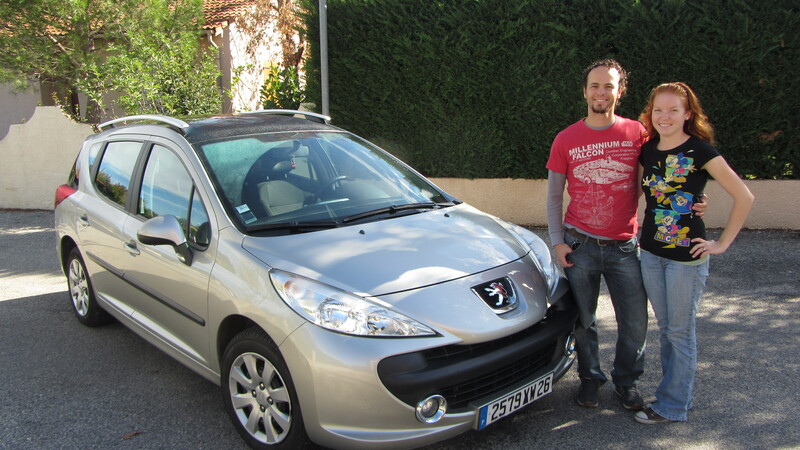 But since we’ve adopted Solo and since we do a lot of back and forth traveling between here and Matt’s parents’ house in Valence, buying a car became one of our biggest desires. And now we have one! It’s a used 2008 Peugeot (French brand with a Lion logo–roar!) with a nice sized trunk and a sun roof and we absolutely love it! We’re very thankful to have it. Speaking of traveling, last month we visited Matt’s grandmother in Montbéliard, which is in the east of France, very close to Germany. 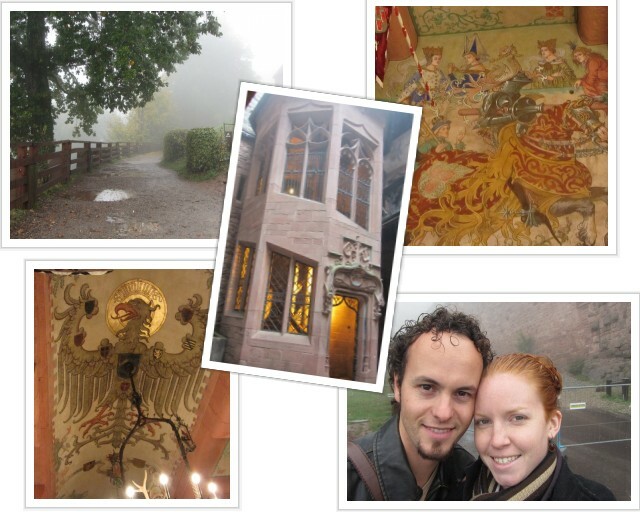 While we were there we visited Chateau Haut-Koenigsbourg (isn’t that a mouthful? Don’t worry, they only pronounce half the letters in French), a once German-owned castle. The day we went it was pouring, but I was still able to take a few decent photos, so enjoy! P.S. I promise to update again soon! Tomorrow I’m going to visit Lyon for the first time (no airport this time!) and to see Hillsong in concert so stay tuned! Hope you had a great time in Lyon! That’s actually where I’m living right now, and I love the city. From what I can gather from your previous posts, I think you’re living in Grenoble…if that’s the case, and you haven’t already done it, you should take that new car and go on a road trip to Pont-En-Royans! We did that last weekend and it was amazing. Hi Becky! I did like Lyon, although I wish we had been able to spend more than just an evening there–next time! And I’m not sure if I’ve been to Pont-En-Royans yet, but I’m pretty sure it’s nearby. What did you do there? It’s basically just sight-seeing. We didn’t have as much time there as we would have liked, but the city itself is really neat in that it has medieval fortifications, and houses built on the edge of a cliff (you can see pictures on my post here if you want http://pbandnutella.wordpress.com/2012/11/04/pont-en-royans-in-one-word-amazing/). There’s a lot of places to hike up to see as well, but we were short on time and didn’t get a chance.